The Pressure Washer is a machine that in recent years has filled pages and pages of catalogs, advertising brochures, and has filled shop windows, supermarkets, becoming one of the most appreciated appliances. 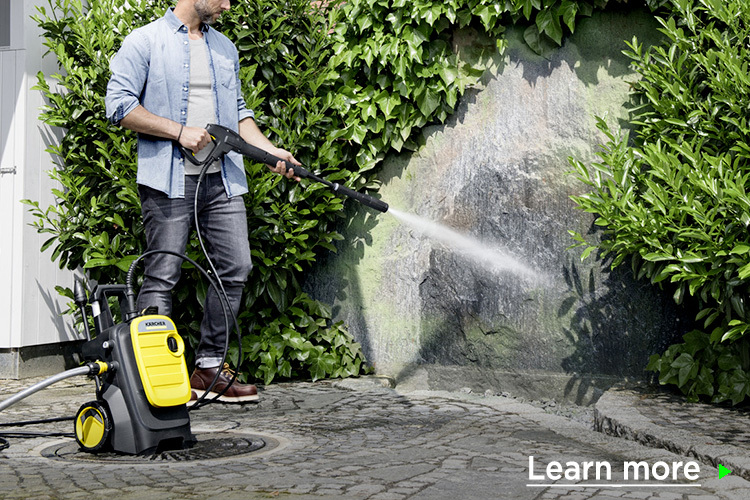 The pressure washer was made primarily to remove dirt from large industrial environments but has become a tool for everyone by conquering its role in every home as an appliance. You can use it to clean your car, garden equipment, outdoor patios, walls, workshops, butcher shops, and many more things! Cold water, hot water, current or with fuel, on our site you will find what is right for you. The leading companies we supply have ten-years experience aimed at creating technologically advanced products able to meet the daily needs of a large number of customers struggling with many problems that only the pressure washer can deal with.